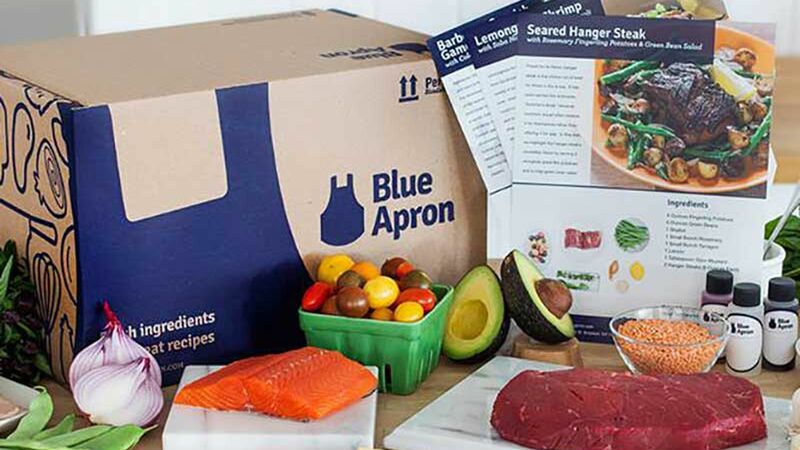 Right now Blue Apron is offering a huge promotion for new users. When you sign up you’ll get 5 Meals Free With Your First 2 Orders! If you’ve never tried Blue Apron, they send you everything you need to cook dinner. You can sign up for 2-3 meals a week and even set how many you want the meal to serve. Everything is delivered right to your doorstep ready for you to open up and cook. The discount comes off as $55 off your first two weeks. This is even better than what they offered over Black Friday. 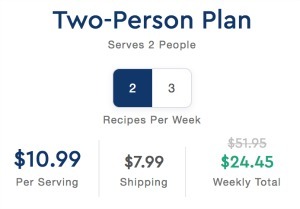 It makes 2 meals for that can serve two people, $24 shipped (that’s like paying $6 per serving)! While that is a little more than I normally spend on a meal these are also a bit fancier than I normally would buy/cook too. So we are going to make it two date-night-in meals for the next two weeks. I’m not sure I will continue past the first two weeks… but I’m up for fun meals for the two of us for a couple weeks! The $55 off discount ends 4/30.